A render of the new YMCA scheme. 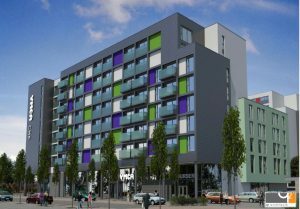 Works have started on a new 8 storey building for the YMCA, which will allow the current complex to be redeveloped. To enable the new building to be built, two single-storey buildings on North Fifth Street have been demolished. The new YMCA building is the first half of a two-phase development. Once it is completed, the YMCA residents will move from the current three low-rise buildings into the new one. This will allow all of the residences to be under the same roof, in keeping with YMCA practise elsewhere. 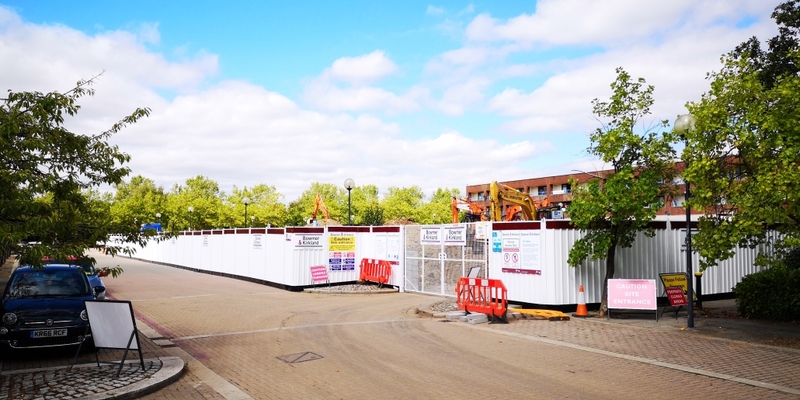 Once the move is complete, the current buildings will also be demolished, after which that site will be developed as a private rental scheme, also eight storeys in height.